2. Volunteer stocking or distributing food at Operation Care located at the Association Office. 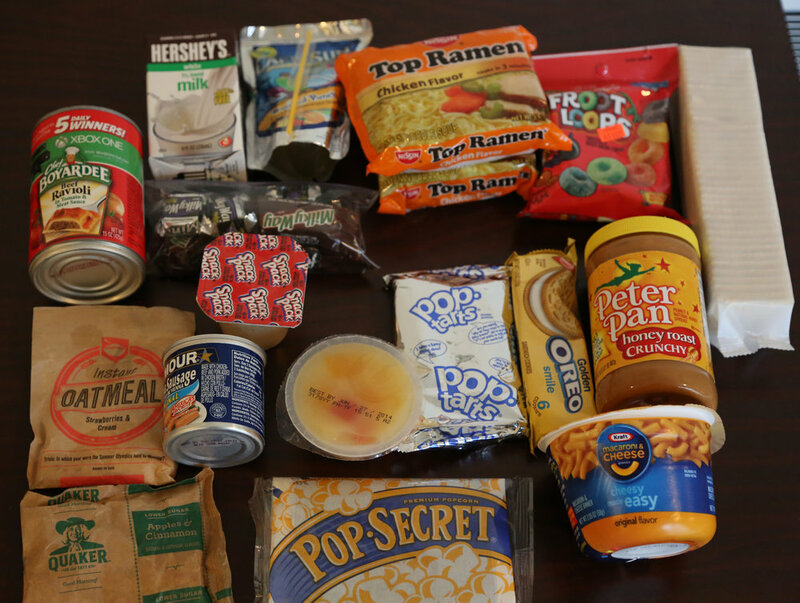 Backpacks are filled with food items to help children with food needs during weekends. These backpacks are then distributed by the schools in the area. Items needed are Ramen Noodles, Boxes of Mac and Cheese, Canned Pastas with Meat, Canned Chicken Noodle Soup, Vienna Sausages, Single Packs of Instant Grits of Oatmeal, Single Serving Boxes of Cereal, Microwave Popcorn, Single Servings of Canned Fruit, Single Packs of Chips or Crackers, Peanut Butter. You can bring one or many items and leave them on the table in Old Fellowship Hall. In March, we will be preparing Ministry Health Kits. These kits are used in Migrant Ministries across SC and within our association. Place items in a 2-gallon, plastic, zip-lock bag. Your kits may be dropped off in the WMU room on the 2nd floor of the sanctuary during March, but no later than April 30th. Pampers, Clothes for children through age six, Women’s clothing including shirts, blue jeans, underwear and bras.